This newsletter is for educators, parents, and students about mental health in schools. The information contained in this is intended for reuse. Please share and give credit to MHANYS. To download a printable .pdf version of this newsletter click here. In the 16 years I’ve been at MHANYS, I have never seen anything like the crowd of people we had last month at our MHANYS Mental Health Matters Legislative Day. We had over five hundred people in attendance, including close to three hundred middle school, high school, and college students from across New York State. The timing of the day was important as we had an opportunity to thank the Senate for their support in their one house bill for a COLA, Work-force, CIT, Dwyer Veterans Funding, Medication Access, Housing, Mental Health First Aid, and Behavioral Health Parity. We also had the chance to thank the Assembly for showing their support in their one house for a COLA, the MHANYS School Based Mental Health Resource Center, Medication Access, Housing, Workforce and Criminal Justice Reform. Between the two houses, many of MHANYS priorities were addressed. We spoke about a myriad of issues with primary focus on the fight for a human services COLA and full funding of a million dollars for the School Mental Health Resource and Training Center. We thank all of our state leaders who participated, including Assembly Mental Hygiene Chair, Aileen Gunther, Senate Mental Hygiene Chair, David Carlucci, Senate Education Chair, Shelley Mayer, OMH Commissioner, Ann Marie T. Sullivan, M.D., and State Education Department Associate Commissioner Renée Rider. We also thank Assemblyman Brian Manktelow for stopping by and showing his support and Assembly Education Chair, Michael Benedetto for meeting with several of our students. We also featured several experts who spoke to issues of importance to the entire mental health sector. The issues that were covered aside from COLA and the Resource Center included: Housing, Eating Disorders, Geriatric Mental Health, Dwyer Peer to Peer Mental Health Program for Veterans, Mental Health First Aid, Criminal Justice Reform, Behavioral Health Parity, Medication Access, and the need for more clinicians in schools. All our speakers did a wonderful job but listing these issues (and so many others that we didn’t even have a chance to talk about) shows how we still face so many struggles when it comes to fighting for mental health funding and reform. Yet a day like Mental Health Matters Day last month provides such optimism as we witnessed hundreds of young people eloquently and passionately raising their voices in supporting the importance of mental health services. There is nothing more empowering than seeing hundreds of students rallying and talking so openly about the need for mental health services in schools and in the community. The best way to end the stigma of mental health issues is by talking about them openly. I was able to attend several of the legislative meetings with these students and I can honestly say that the future of mental health care will be drastically different than what we see now. They will be leading these changes and helping to end the stigma and obstacles that we now face but the need to support the future is today. Prevention is essential. We must all take advantage of these opportunities by strongly supporting mental health needs in schools including identifying the needs for more counselors, social workers and psychologists, highlighting the need for teachers to be trained about mental health and to continue and enhance funding for the School Mental Health Resource and Training Center. We have already received a lot of enthusiastic responses from the fourteen schools that have participated and from several that were unable to attend but look forward to participating next year. A Pew Research Center study found that seven-in-ten teens today consider anxiety and depression as major problems among their peers. The study survey asked teens to rate their level of concern for a variety of problems teens face, including bullying, drug addiction, poverty, teen pregnancy, and gangs. Anxiety and depression were ranked the highest. The study also found that teen concern over these mental health challenges cuts across gender, racial, and socio-economic lines, with roughly equal shares of teens across demographic groups saying it is a significant issue in their community. The survey included nearly 1,000 teens ages 13 to 17. Educators, clinicians, and parents reading Healthy Young Minds are not likely to be surprised that teen anxiety and depression have been on the rise for at least the past decade. A study published by the American Academy of Pediatrics found significant increases in suicidal ideation and suicide attempts among adolescents between 2008 and 2015, and the Centers for Disease Control and Prevention lists suicide as the second highest cause of death among people aged 10 to 24. The Pew study, however, confirms that teens themselves are well-aware of the mental health challenges they face. Linking Lessons: Health Class & P.I.G. What is public policy? What does it mean to be an advocate? Where does your right to petition government for a redress of grievances come from? And what does any of this have to do with health class? A three-part webinar series accompanied by lesson plans attempts to answer these questions. Created by the Mental Health Association in New York State, Inc. (MHANYS’) staff for its School Mental Health Resource and Training Center, the webinars and lesson plans are a unique approach in instruction that combine basic lessons in public policy and advocacy with mental health instruction, now required as a topic of instruction in all New York schools. Student advocates can make a huge difference in public policy once they understand how to engage their elected representatives. A group of students in Virginia saw mental health challenges affecting their peers and began pushing the idea to increase mental health education in schools. Their efforts caught the attention of Virginia Senator Creigh Deeds, who advocates for mental health reform. He sponsored a bill in the Virginia Senate mandating mental health education and Delegate Robert Bell brought it forward in the Virginia House of Delegates. It passed in the 2018 legislative session and went into effect on July 1, making Virginia the second state to require some form of mental health education in schools. New York was the first. According to John Richter, Director of Public Policy at MHANYS, students from three other states have contacted MHANYS seeking advise on how to replicate the New York mental health education law in their own states. “It’s really exciting to see these young people take a stand and confront some of the mental health challenges we face as a society. They really are making a difference” said Richter. To access the free webinars and lesson plans visit: www.mentalhealthednys.org/. In the wake of New York’s ground breaking law requiring all schools in the state to include mental health in the school health curriculum, at least four other states are now following suit. Currently, Virginia, South Carolina, North Dakota, and Minnesota all have introduced legislation to require schools to teach about mental health. Virginia, which was the second state in the nation to require mental health education, has new legislation that would expand upon the current requirement to teach mental health to 9th and 10th graders. Legislation introduced in South Carolina would require middle schools to offer a mental health and wellness education elective course in 7th grade; students would have to take a unit of it in ninth grade as well. More comprehensive mental health language like that which is being proposed in Minnesota would require all Minnesota schools to have a counselor on staff, mandate instruction about mental health, and provide online suicide prevention training for districts across the state. In North Dakota, lawmakers have introduced legislation that would mandate youth behavioral health training and instruction for staff and teachers, along with educating youth on behavioral health issues. Interestingly, like Virginia’s first mental health education law that focused on 9th and 10th graders, the North Dakota legislative initiative is student-led. None of these legislative proposals, however, are as broad-reaching as New York’s law, which requires mental health instruction for all grades K through 12. Bills pending in these other states are more circumscribed generally focusing on middle school. Fresh off National Eating Disorders Awareness Week (February 25—March 3), MHANYS reached out to our friends at the National Eating Disorders Association who passed along this important definition of eating disorders and some helpful warning signs. Eating disorders are real, complex, bio-psycho-social diseases that can have serious consequences for health, productivity, and relationships. They are not fads, phases, or lifestyle choices. The most common eating disorders are anorexia nervosa, bulimia nervosa, and binge eating disorder. Other eating disorders include: avoidant/ restrictive food intake disorder, rumination disorder, pica, other specified feeding or eating disorder, and unspecified feeding or eating disorder. People struggling with an eating disorder often become obsessed with food, body image, and/or weight. These disorders can be life-threatening if not recognized and treated appropriately. The earlier a person receives treatment, the greater the likelihood of full recovery. – Preoccupation with weight, food, calories, dieting, and/or body image. – Development of abnormal, secretive, extreme, or ritualized food or eating habits. – Withdrawal from usual friends and activities. – Evidence of binge eating, such as the disappearance of a large amount of food. – Evidence of purging behaviors, including frequent trips to the bathroom after meals, self-induced vomiting, periods of fasting or laxative, diet pill, or diuretic abuse. – Compulsive or excessive exercising. – Discoloration or staining of the teeth. – Feelings of isolation, depression, anxiety, or irritability. MHANYS’ School Mental Health Resource and Training Center already held three Regional Summits in the state and plans to host two more in April. Educators, school administrators, social workers, school psychologists, and others shared ideas and important information at recent summits to help school districts develop curriculum for mental health education K-12 and improve school climate. A summary report of the findings from the five summits will be published later this Spring. It is not too late to sign up for the remaining summits. Register by emailing schools@mhanys.org. – Tabletop Activities: What is my role? What do I do next? As the New York State Legislature edges closer to legalizing the recreational use of marijuana, parents and educators should be aware of the dangers for youth. – A new study in the American Journal of Psychiatry suggests that cannabis may actually have a more negative impact on teens’ cognitive development than alcohol. – An even newer study found evidence that low levels of marijuana use – as few as one or two times – may change the teen brain. – Marijuana use directly increases the chance of psychosis in teens – JAMA Pediatrics. – The good news — when adolescents stop using marijuana – even for just one week – their verbal learning and memory improve. 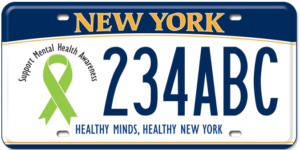 Mental Health Association in NYS, Inc.